Oracle BPM uses transactions to control the steps throughout it’s processes. 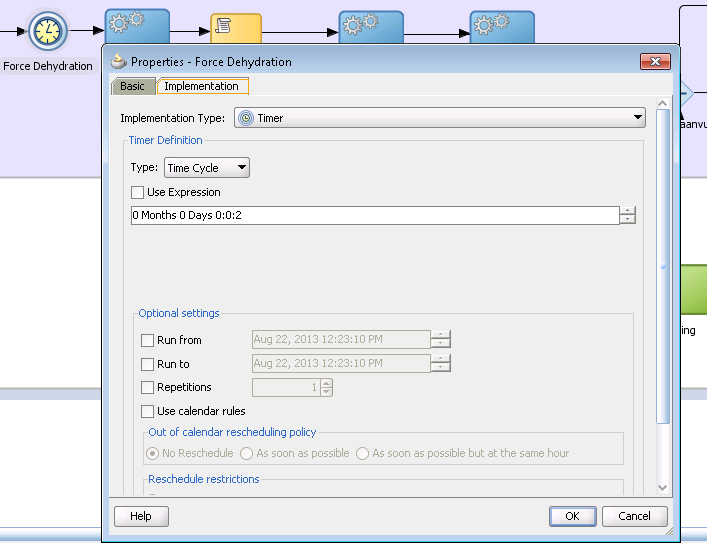 In the Oracle BPEL processes you are able to use a checkpoint to explicit force a dehydration during your process. Oracle BPMN doesn’t have a specific activity to perform the same. However you can force a dehydration by using a timer catch event in your process. Setting the timer to 2 seconds is sufficient. (I think this might actually be 1 second, but the manual claims that the duration should be more than 1 second so we use 2 seconds to be sure). • A Timer Catch Event with duration of more than one second.